Engineering and manufacturing companies from across County Durham are being given a helping hand thanks to a network created to support growth within the sectors. County Durham Engineering and Manufacturing Network (CDEMN) was launched two years ago to support these key industries, which make a multi-million pound contribution to the area’s economy each year. The network’s mission is to offer businesses expert support and advice and access to the assistance they need to realise their full potential. And now, CDEMN has hit the 200-member milestone, with many more companies across County Durham being indirectly supported through the organisation’s links with funding and business support groups across the North East. Ben Gilhespy is Operations Director at CDEMN. 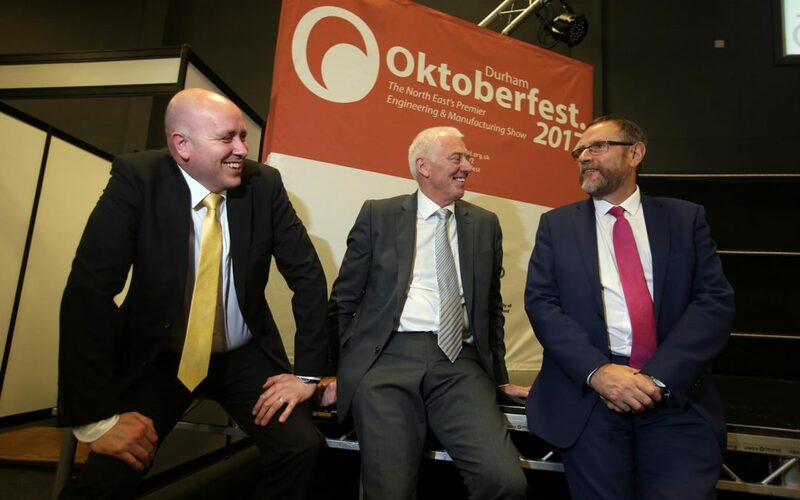 He said: “County Durham’s engineering and manufacturing sectors are thriving, with many companies within the sectors growing not only here in the region, but nationally and, in many cases, internationally. “It’s our job to ensure this growth continues, but also that we’re doing everything possible to engage with those smaller companies who perhaps have ambitions to grow but need a push in the right direction. CDEMN has also been boosted by the growth of its affiliate membership network. In the last few weeks Lloyds Banking Group and telecoms and IT solutions reseller CCS Mobile Ltd have both signed up, joining the likes of law firm Muckle LLP, recruitment specialist Jackson Hogg, chartered accountants Tait Walker and training provider Sora who all work with CDEMN to offer bespoke support to the network’s members. As well as the diverse and tailored assistance it offers its members, a key priority for CDEMN is to help companies tap into commercial opportunities within the region. Many of the network’s members are established firms who export their products and services nationwide and overseas, however many aren’t exploiting the opportunities on their doorstep. Ben added: “It’s fantastic that so many of our members are successfully exporting their products, whether that’s elsewhere in the country or abroad. “However, the feedback we’re getting from many of them is that they’re not working with those companies closer to home, in many cases their neighbours, when actually there’s work there for the taking. To find out more about CDEMN visit the website, cdemn.org.uk.